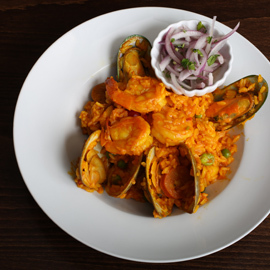 Maura’s Kitchen is a Latin bistro with a homey cafe vibe with a variety of daily specials ranging from stews and roast pork to various styles of rice and beans straight from Peruvian owner, Maura. 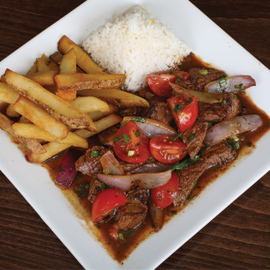 We are a family-owned restaurant that brings you the delicious flavors of Peru through its Pollo a la Brasa and coastal favorites, Ceviche and Jalea. If you prefer the convenience of take-out, choose from single or family-style size orders and plenty of homemade hot sauce to bring home and share with your family. 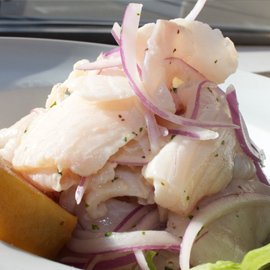 We can only hope that your experience with us allows you to discover our culture and traditions so you can see for yourself how our cuisine has the power to capture the hearts of all Peruvians. We believe that by using only the finest ingredients we create authentic yet innovative Peruvian food and hope you recognize our attention to detail in all aspects of your dining experience. Black Angus Sirloin strips sautéed w/ plum tomatoes & onions served with handcut fries and rice. Surf & Turf & Vegetable options are available. Peruvian Paella with Jumbo Shrimp, Mussels, Littleneck Clams, Chorizo and Calamari. Tilapia and Shrimp marinated in lime juice & Aji Amarillo with Choclo and sweet potato. 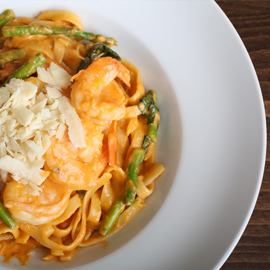 Fettuccine pasta with Jumbo Shrimp, fresh basil & asparagus in a mushroom creamy seafood sauce topped with shredded Parmesan Cheese. 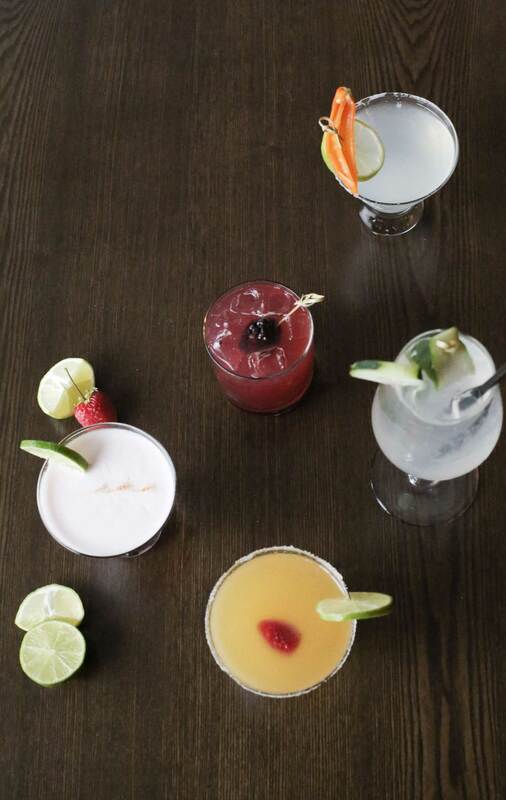 Discover Our Handcrafted Peruvian Cocktails, Featured Wines & Beer List.